East Texas Golf as it was meant to be! Although rain was predicted, the sun shined on the grand opening tournament for Tempest Golf Club, in Gladewater, TX. With the opening blessing from an Irish priest, followed by a shotgun tournament, Tempest Golf Club ushered in a new era of golf in East Texas. 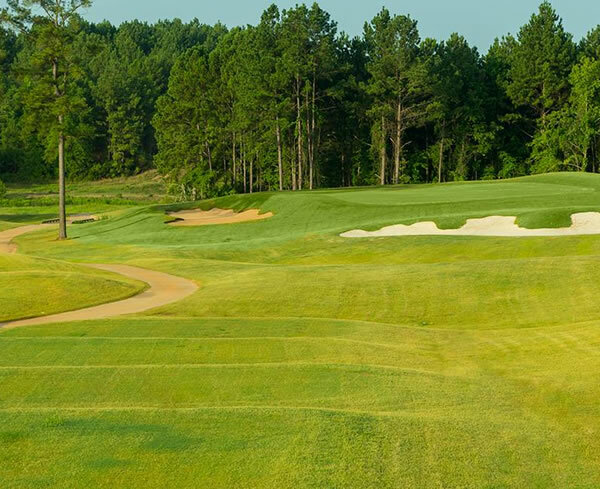 Set on a spectacular piece of property, and designed by Jeffrey D. Brauer, Tempest showcases the hills, trees and water that make this part of Texas so popular with golfers, in part because the land transports them to other areas of the country, notably the sandhills of North Carolina. After the tournament, Author and radio host Pat Wheeler hosted a panel of East Texas golf legends, including Homero Blanca, Roy Pace and Jackie Cupit, all PGA Tour winners. Each was impressed with the new venue. The next morning, Wheeler hosted a live broadcast featuring architect Jeffrey D. Brauer, GM Randy Wade, Contractor Peter DeJak of Signet Golf, who combined to explain the creation story of the course, headed by Joe Bruno, who saw his vision come to fruition. The following day, and through the weekend, the course sold out nearly every available tee time. Golfers had been waiting a long time, and judging by comments from members and guests, the course was well worth their wait. Golfers from all around Texas and Louisiana can now play at Tempest, with a simple visit to their website ( http://www.tempestgolfclub.com/tee-times/) or by calling the club (903) 984-5335.